It’s the Feast of St. Francis of Assisi! Now St. Francis is, arguably, one of the most popular saints (no matter your denomination or even if you have any belief system at all) of all time. Period. He is, if you will, a rock star of saints. Which, yes I know, is oppositional to all that sainthood is about, but there you have it. He is. He is known and loved around the world. 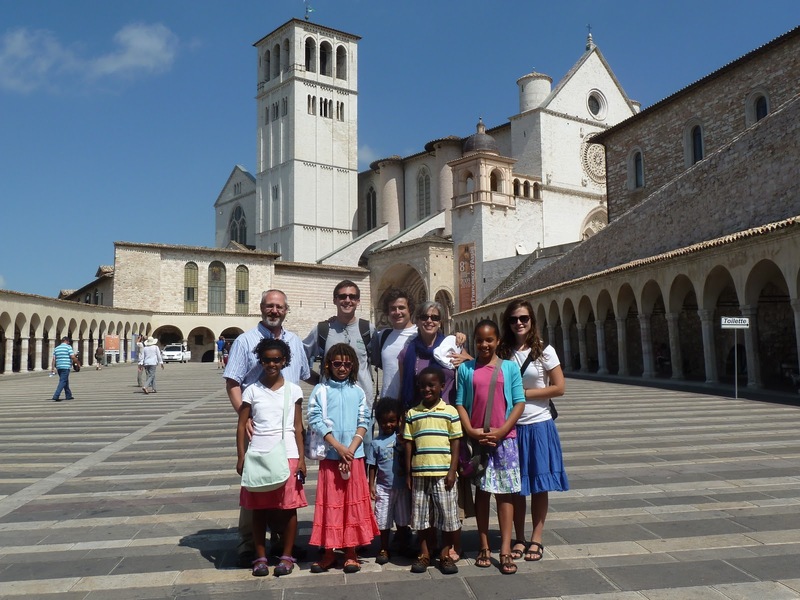 NOTE: Now I have been to Assisi myself and I have a much greater love for Francis…and frankly the Basilica of Assisi, specifically the lower church/crypt…blew me away. I gasped at the beauty. There was fresco everywhere, every single arch and nook and surface. And I love me some fresco so I was just jaw dropped head back gasping in happy. My issue, and one that kind of has kept me from getting too close to St. Francis, is that he is too often sentimentalized into a sort of “saint-lite.” It seems like only the fluttery bird loving Francis is ever depicted. Churchs all over love to do the blessing of the animals in honor of St. Francis. Well, ok. I like animals too and we all know he loved them and talked to them and that’s very cool. But really, St. Francis was a radical! He came from a very wealthy family and after living the wild life for years, to the despair of his folks, he had a radical conversion and threw it all away, literally (stripping to the skin in the public square and renouncing his inheritance…not the way I’d encourage youth to model today, but still….). He then went to devote himself to poverty and prayer and building up the Church, literally and figuratively, in joy. Even by the standards of the day, way back when, he was a holy radical. That’s the St. Francis that I like to think about, the one that draws me in and wonder, but is too often unrecognized. My favorite thing about St. Francis, really, are these guys!! Also radicals for Joy, totally countercultural…… They are awesome and just light up a room when they are around. I tend to want to follow them around like a puppy. They are magnetic in their joy and just pull you to them! Fransiscan Friars of the Renewal on tour of Ireland. This entry was posted in liturgical year, saints by coffeemom. Bookmark the permalink. >Isn't the peace palpable in Assisi!? !